Kimonos take center stage each time the weather warms up. They’re great bikini cover ups, and they’re ideal for daywear too. Wear one over a tank top and denim cutoffs, and you’re all set to looking effortlessly chic for whatever errand it is you’re running for the day. We’ve also shown you five interesting ways to rock the kimono during fall by layering them under or over other articles of clothing, courtesy of carefully handpicked looks from personal style bloggers (you can read the article here). Today, however, we’re taking a cue from a celebrity — Jessica Alba — and the super cool way she styled this very versatile topper. While out attending a kids’ birthday party in Hollywood, the actress unexpectedly layered her kimono over a graphic tee and slouchy boyfriend jeans. Capping off the ensemble were a fedora hat and some really colorful studded flat sandals. It was an unusual mix for a kimono, but being the stylish mom that she is, Jessica made it work. 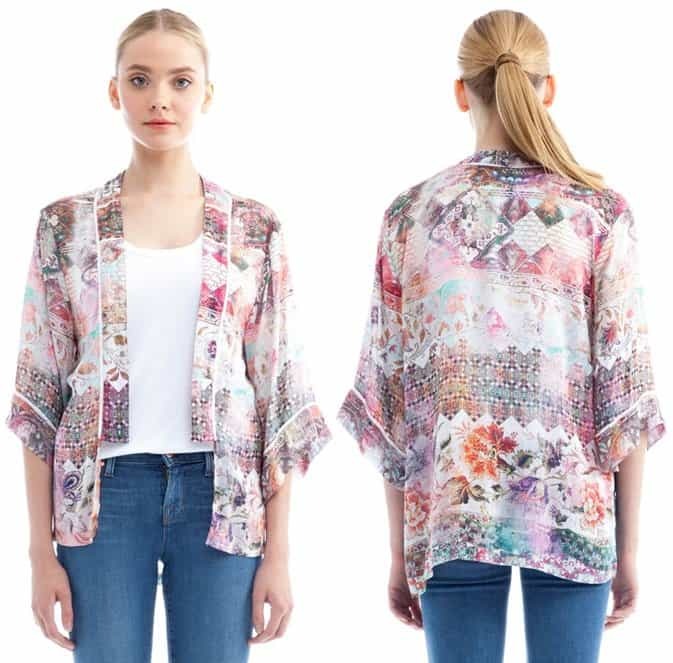 How do you like the way Jessica styled her kimono? Will you wear such a getup or do you find it lousy or frumpy? Obviously, we like it. We also admit that adding the fedora made a huge difference. It’s a laid-back attire that is chic, effortless, and has that I’m-too-cool-to-dress-up vibe to it. Who’d have thought that a printed kimono would work with a graphic shirt and torn-up loose jeans, right? So how about we copy Jessica’s outfit today? Note that to be able to pull off this attire, you must select a shorter kimono instead of a long one that ends right along the thighs. The reason is simple — so you can avoid looking frumpy in your cropped and slouchy boyfriend jeans. It’s all a matter of balance and proportion.